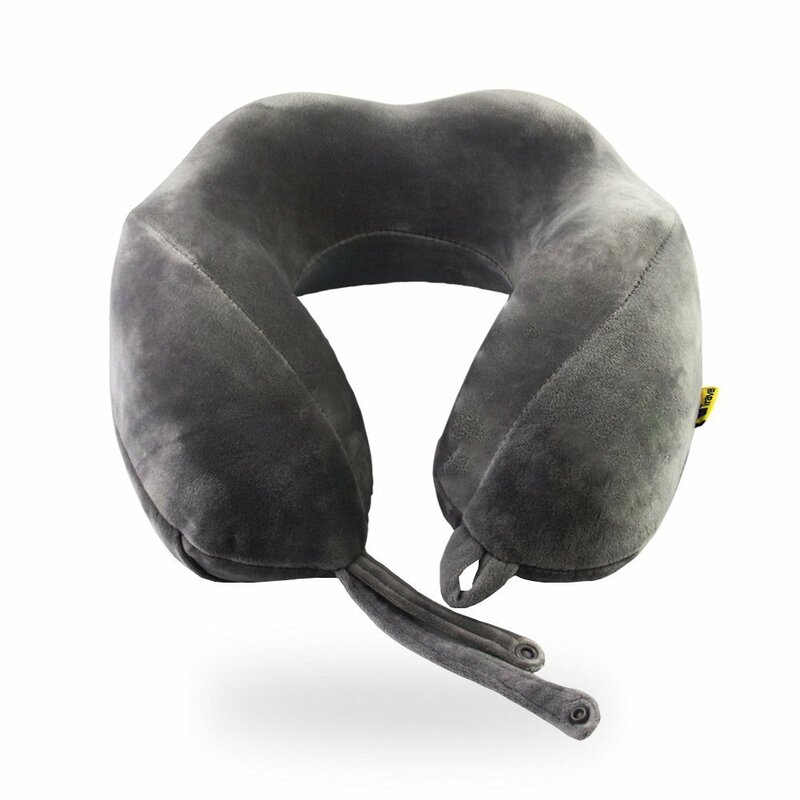 Effective Prevention of Neck Strain -- Can support your neck and head well when you are sleeping, relieve neck pressure and stimulate the circulation of blood, no more neck pain, soft and comfortable. 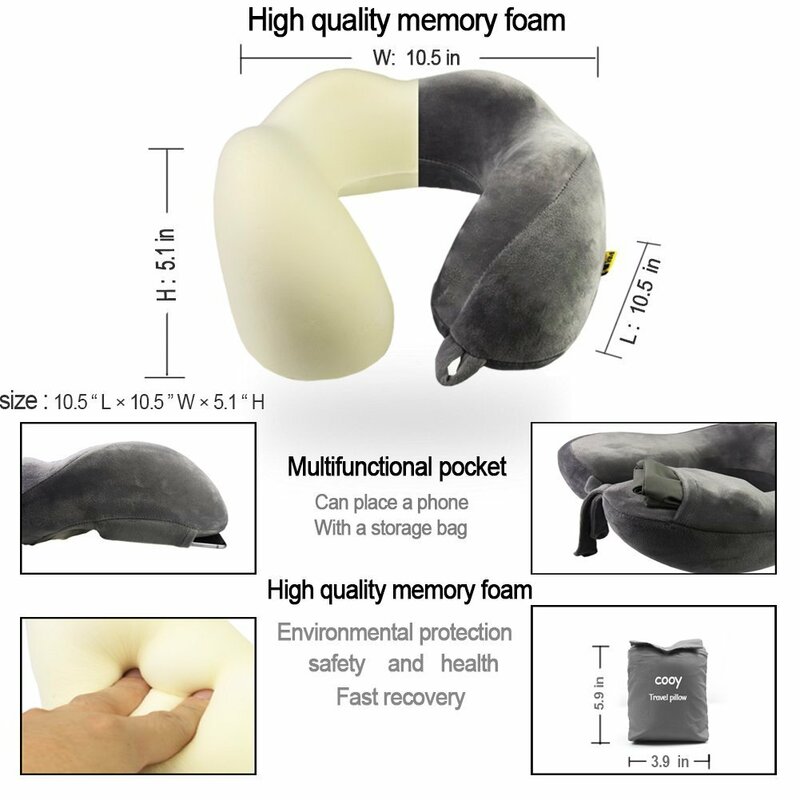 High Quality Memory Foam Pillow -- Memory Foam is a polyurethane material that is sensitive to pressure and temperature, can evenly distribute body weight. Not easy to cause compression deformation, and suitable for people of different sizes. So this is a one of the best gift for family, couples, colleagues and friends. 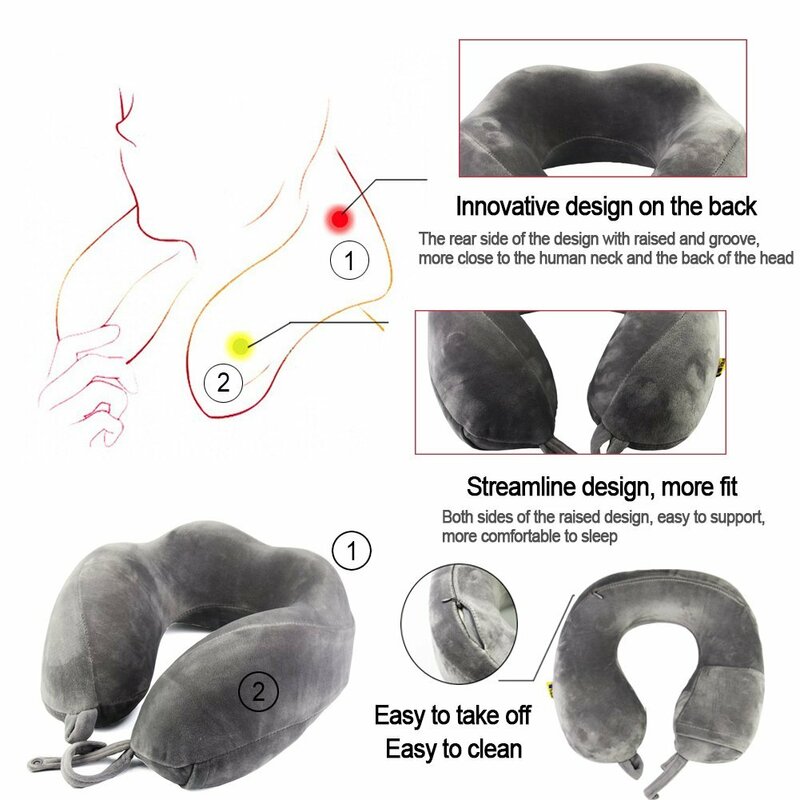 ERGONOMIC RAISED LOBE DESIGN – Standard U-shaped neck pillows do not offer support for neck tilt from side to side, but the Travel Comfort neck pillow is designed with raised lobes on either side that allow your neck and head to contour and lean comfortably against the soft yet supportive memory foam cushion. 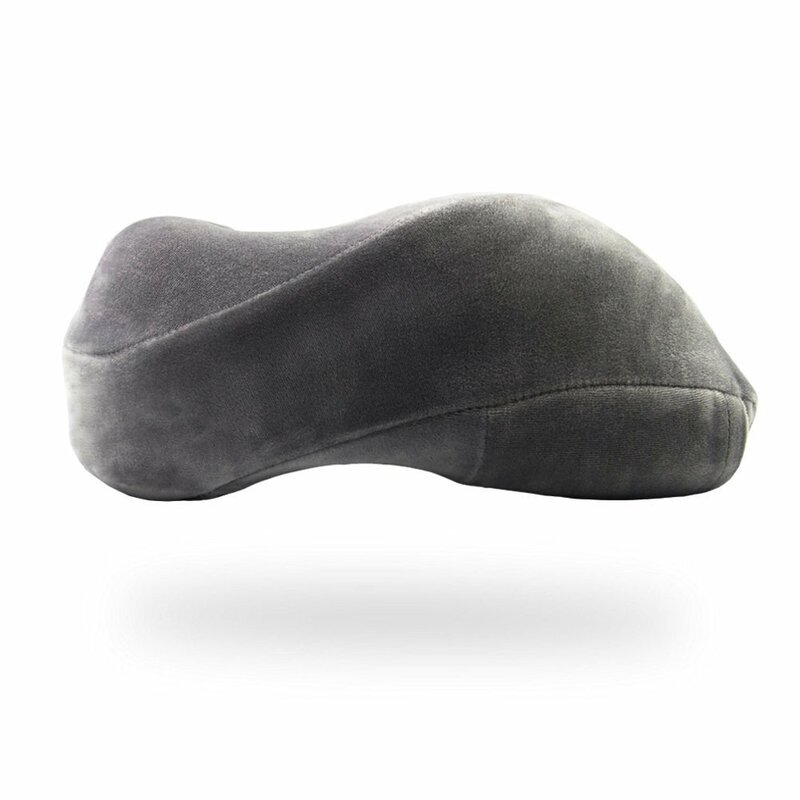 PERFECT FOR MANY RESTING ENVIRONMENT -- This travel pillow is perfect for anykind of travel, like by plane, train, car or bus, especially for the businesspeople who often fly to everywhere but need good resting and sleeping on trip. EASY TO PACK & CONVENIENT TO TAKE ALONG -- Behind the pillow, comes with a packing bag. 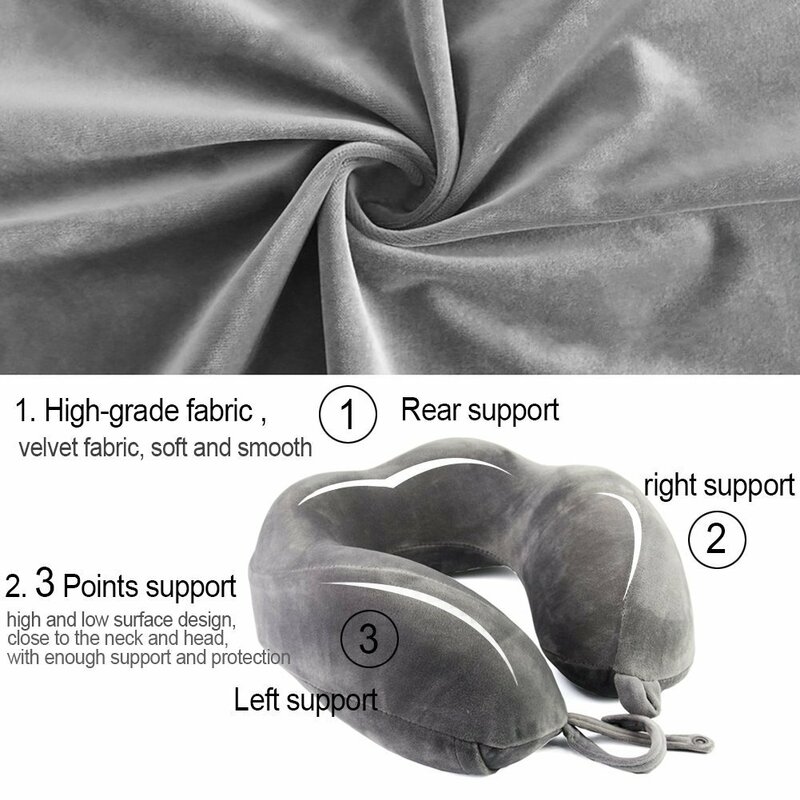 You can fold the pillow and pack it in bag whenever and wherever, and no need to worry packing bag will be missing. Small folding size, plus the provided drawstring, so convenient to take it along or put it in your trunks or bags.